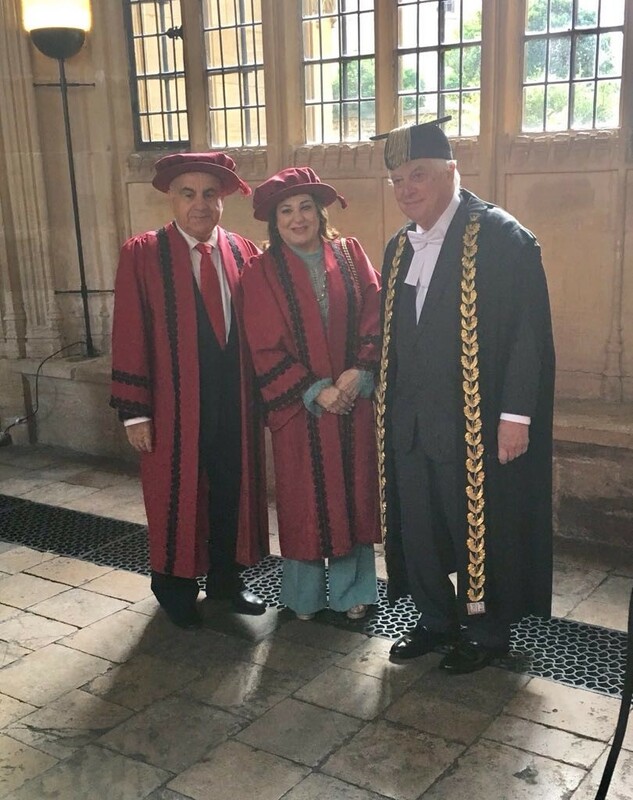 World Trade Center Holdings Cyprus is proud to be able to announce that at a recent ceremony held by Oxford University, Mr Ghazi Abu Nahl, Group Chairman of Nest Investments Holdings and World Trade Center Holdings (Cyprus), and his wife, Mrs. Hind Ali Tabaja were inducted into the Oxford University Chancellor's Court of Benefactors. Mr Abu Nahl is a great supporter of Human Rights on both a professional and personal level. This prompted him to make a generous benefaction to Oxford University, which funded a new Law Faculty dedicated to Human Rights Law, the Bonavero Institute of Human Rights. This new department is now operational and receiving its first students.